Intimate apparel, a term in use by 1921, has played a crucial role in the development of the "naughty but nice" feminine ideal that emerged in the twentieth century. Jill Fields's engaging, imaginative, and sophisticated history of twentieth-century lingerie tours the world of women's intimate apparel and arrives at nothing less than a sweeping view of twentieth-century women's history via the undergarments they wore. 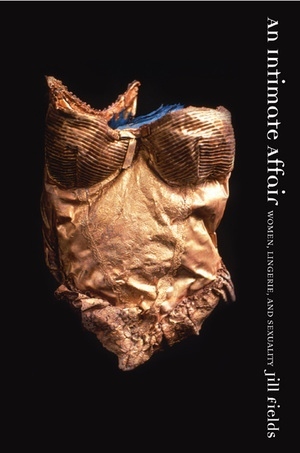 Illustrated throughout and drawing on a wealth of evidence from fashion magazines, trade periodicals, costume artifacts, Hollywood films, and the records of organized labor, An Intimate Affair is a provocative examination of the ways cultural meanings are orchestrated by the "fashion-industrial complex," and the ways in which individuals and groups embrace, reject, or derive meaning from these everyday, yet highly significant, intimate articles of clothing. Jill Fields is Professor of History at California State University, Fresno.